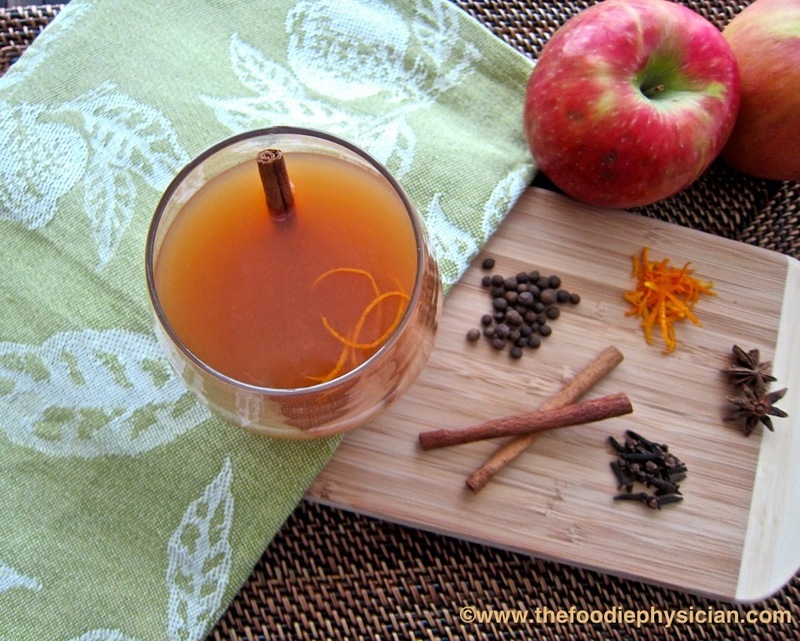 What’s more comforting on a cold winter’s day than a cup of hot, mulled apple cider? Add a splash of brandy or rum and it makes the perfect adult treat for New Year’s Eve. Plus, it will make your whole house smell wonderful as it simmers away on the stove. This is a very quick and easy recipe. 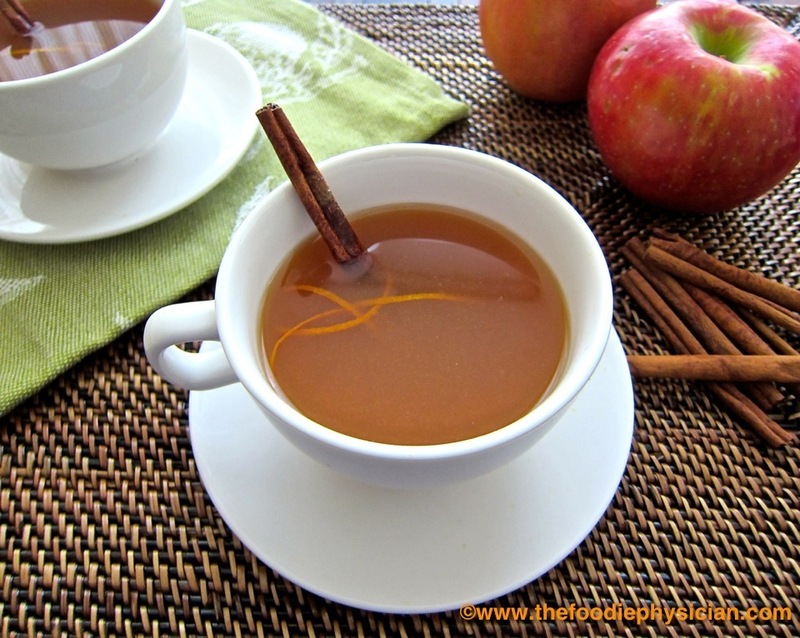 Simply heat up apple cider in a saucepan with a variety of spices and simmer for 20-30 minutes. 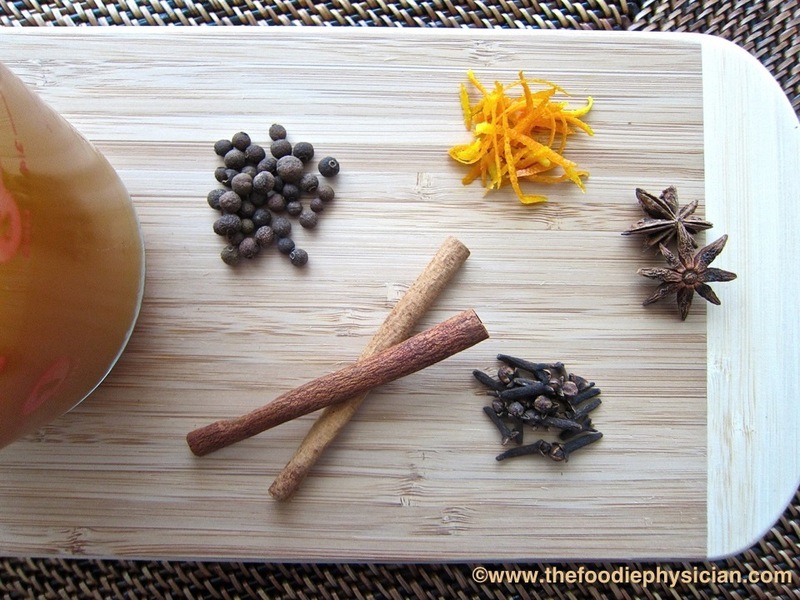 I use a mixture of cinnamon sticks, cloves, allspice berries and star anise, which infuse their warm flavors into the cider. Don’t worry if you don’t have all of these spices- you can use your own combination and it will still be delicious. A few strips of fresh orange peel add just the right amount of bright, citrus flavor to complement the aromatic spices. It’s the perfect treat for your family served piping hot and garnished with a cinnamon stick and some orange zest. You can’t go wrong with this one. Happy New Year! 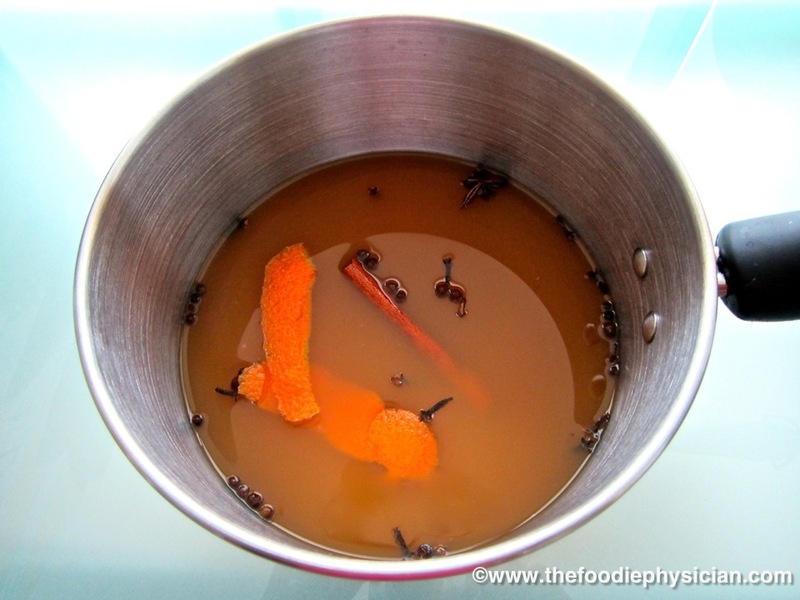 Place the cider, cinnamon sticks, cloves, allspice, orange peel and star anise in a large saucepan and bring to a simmer. Simmer 20-30 minutes, stirring occasionally. If desired, you can add a splash (or two!) of brandy or rum. 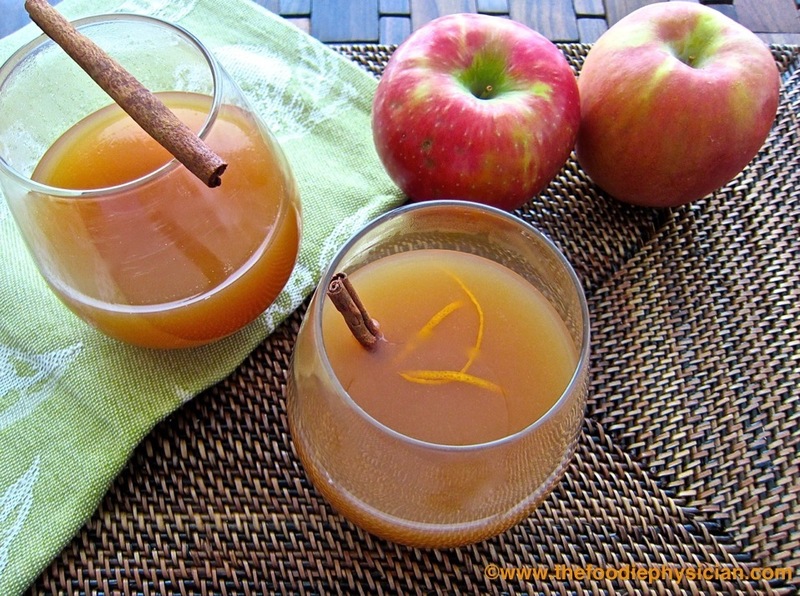 Strain the cider and pour it into individual cups. Garnish with a cinnamon stick and orange zest. Serve hot. Enjoy!